ane sudah download projectnya gan versi unitynya juga sama. tetep gak muncul iklannya, bahkan sample ads juga gak muncul. apa manifest nya harus diedit? versi sdk dan jdk apa juga berpengaruh? Hi, kalau mau masukin ke source code yg udah ada gmn caranya ya? Just copy and paste…You could have explained the things. Its so confusing. Google Video,but https://github.com/unity-plugins/Unity-Admob/ maybe more easy for usage. Hi! How can i link this to the admob site's ads? If you want to implement ads from any network into your project in a matter of minutes, check out how Enhance can help you! The official web site for the plugin says that you should use the Unity Play Services Resolver library. Do you know why, and if the plugin works better using the Resolver library? what tool you used to make this video ? Thanks in advance ! 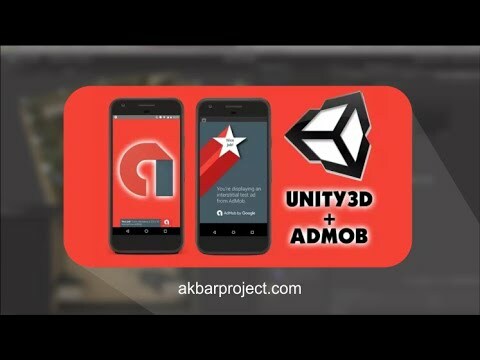 bro Do you have rewarded video ad tutorial for unity ? It doesn't show real ads , only google's but i deleted the lines of code you said. How can i fix? work gan iklannya… muncul tapi cuma yang inters aja..